← If Jesus Died for Our Sins, Why Do We Still Die? 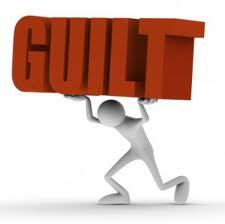 Are You Fueled by Guilt or Grace? 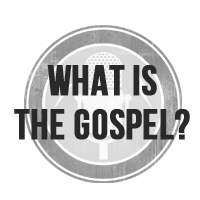 Why do I read the Bible? Why do I give to charity? The motivations that spring from full apprehension of God’s grace do not change the rules but do change the reasons for our obedience. Grace encourages and enables us to serve God out of love for Him and desire for His glory. Grace makes true obedience possible because a thankful response to unearned merit is motivated more by love for God than by love for self. Guilt drives us to the cross, but grace must lead us from there or we cannot serve God…(Taken from Christ-Centered Preaching, p. 219-220). So ask yourself, are you more motivated by guilt or grace? Is your obedience born more from duty or delight? Is what you do fueled by what God has already done for you or by what you need to do for God? Your answers should help you see who you have been serving: yourself or God? However, whatever your answer, will you hear Jesus call to you today, “Come to Me, all who are weary and heavy-laden, and I will give you rest” (Matthew 11:28). Let His rest fuel your work. This entry was posted in Uncategorized and tagged bryan chapell, christian life, christian living, glory, gospel, grace, growth, guilt, jesus, obedience, preaching, Sanctification. Bookmark the permalink.